The DES-6300 multi-layer routing switch. 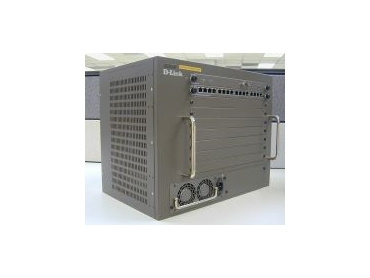 D-LINK has announced the DES-6300 multi-layer Ethernet chassis-based managed switch for diversified network environments. The DES-6300 is a multi-layer routing switch that combines packet switching with wire-speed routing, multi-link aggregation and quality of service. The 7-slot chassis offers flexible configuration. Up to 96 10/100Mbps dual-speed ports can be configured for the switch, each port supporting full/half duplex, flow control and multi-link trunks. For fibre installations, up to 72 100BASE-FX Fast Ethernet MTRJ fiber ports or 48 100BASE-FX SC fibre ports can be configured. However, a combination of 100Mbps fibre, twisted-pair and Gigabit ports is a more common configuration. "The D-Link DES-6300 combines high bandwidth with flexible connection and easily adapts to a network's different speed and cable requirements," said Maurice Famularo, marketing manager, D-Link Australia and New Zealand. * Wire-speed IP routing - instant support for Windows, NetWare, UNIX, AppleTalk and Internet environments. Non-blocking switch fabric provides hardware-based packet filtering/forwarding. * Seamless integration - the DES-6300 can be instantly integrated into any existing network for seamless integration of multi-layer packet switching. * Scalable port density - with a modularised design and a wide range of port selection from Ethernet/Fast Ethernet to twisted-pair and fibre Gigabit, this switch provides for easy, scalable expansion. Bandwidth migration is simple with 10/100/1000Mbps multi-speed support and module hot swapping capability. This architecture provides for great flexibility and investment protection. * IP Multicast (IGMP snooping) - the switch listens to IGMP messages to build mapping table and associate forwarding filters. It uses GMRP to dynamically configure the switch ports to forward IP multicast traffic only to those ports associated with multicast hosts. * Maximum uptime - hot-swap and optional redundant power supply gives added reliability for mission-critical applications.